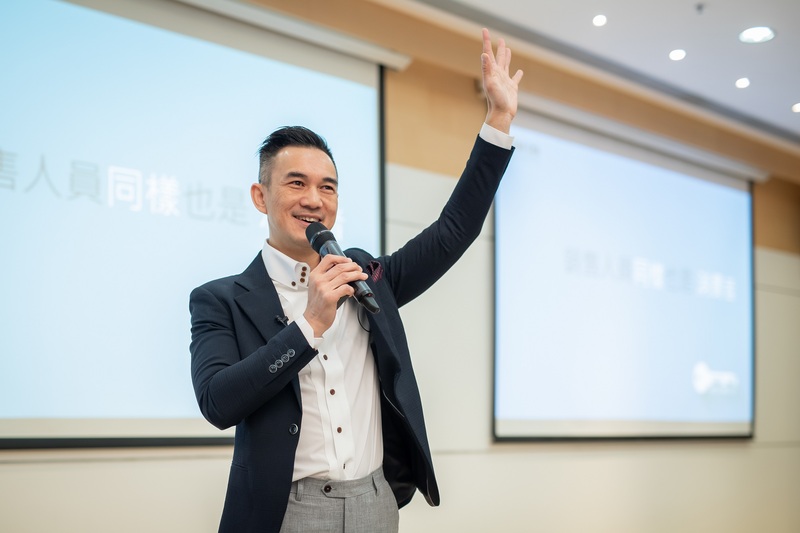 (Macao, Dec. 02, 2018) – Motivational speaker and entrepreneur Brian Cha conducted a workshop on sales and consumer behaviour Tuesday at The Venetian® Macao, as part of the Celebrity Mentor Workshop Series co-organised by the Macao Government Tourism Office and Sands China Ltd. The workshops give retail employees a chance to learn from experts in their respective fields, better equipping them to provide the best experience for shoppers. Around 120 retail professionals attended Cha’s Tuesday session at The Venetian’s Adelson Advanced Education Center, where he covered topics like using the latest sales techniques and attracting customers to take a proactive approach while shopping. Four workshops have been planned for the Celebrity Mentor project, each session targets to train around 120 participants. The first workshop in the series was conducted last month by Hong Kong actress and UK-accredited trainer Astrid Chan on the topic of personal branding. Celebrity Mentor is an initiative aimed at continually advancing the service quality of the retail industry in Macao. Launched in 2013, it offers complimentary customer service training to the retail professionals at Sands Shoppes – made up of Shoppes at Venetian, Shoppes at Four Seasons, Shoppes at Cotai Central, and Shoppes at Parisian. Photo caption: Motivational speaker and entrepreneur Brian Cha speaks to participants of the Celebrity Mentor Workshop Series Tuesday at The Venetian Macao’s Adelson Advanced Education Centre. 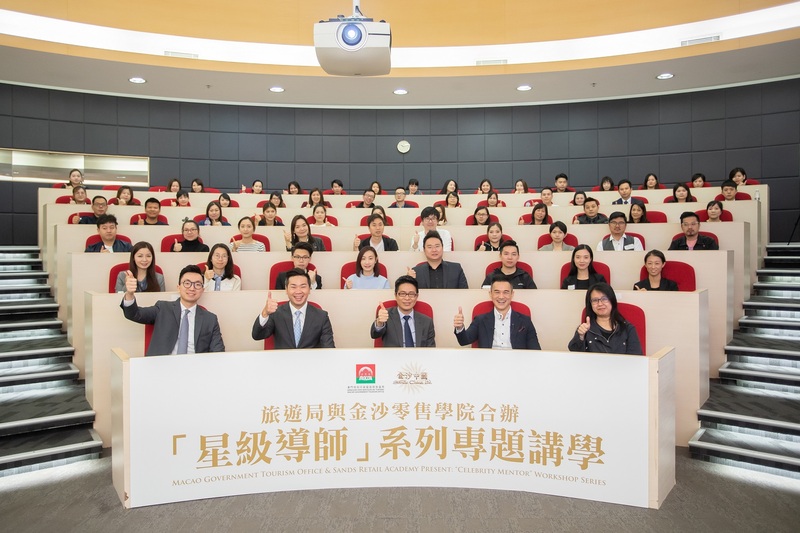 Co-organised by MGTO and Sands China Ltd., the workshop series gives Macao retail employees, including those of retailers at Sands Shoppes, a chance to learn from experts in their respective fields, better equipping them to provide the best shopping experiences. 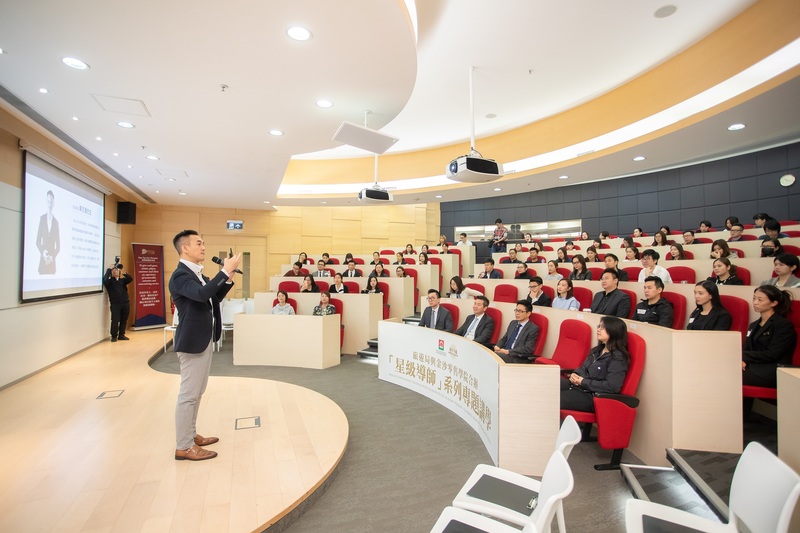 Photo caption: Around 120 Macao retail professionals, including employees of retail outlets at Sands Shoppes Macao, attend a Celebrity Mentor workshop Tuesday at The Venetian Macao’s Adelson Advanced Education Centre, with Sands China management in attendance.